New year is approaching very fast and as many planner ladies love to plan ahead, I have made some free printable New Year stickers for them that they can use in their Happy Planner and Erin Condren Life Planner boxes. I have also made some new year countdown stickers. This time I asked for suggestions and many ladies in my facebook group gave me suggestions about color combinations. The colors that I have chosen to go with are rose gold, blush pink and chalkboard grey, and as everyone asked for glitter and shimmer. I have used some glittery texture this time in gold and rose gold as well. This is slightly different from my usual style so I’ll look forward to get your feedback about what do you think. This is a set of new year 2016 stickers for Happy planner. You can download the PDF file here. 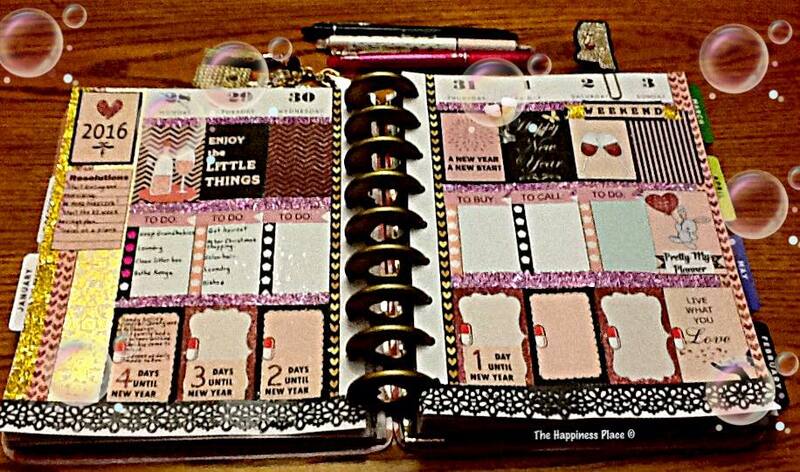 Do not scale this image if you are using it for Happy Planner. 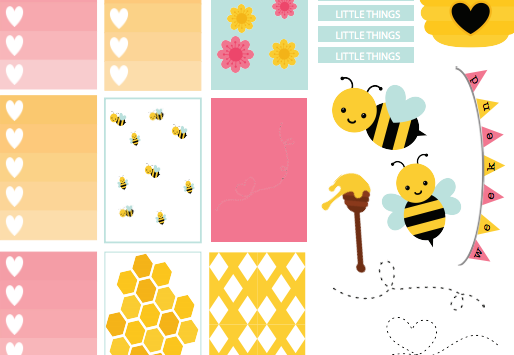 You can print it on avery sticker label sheet or any other sticker paper of your choice or also on plain paper and paste in your planner with glue after cutting it with scissors. 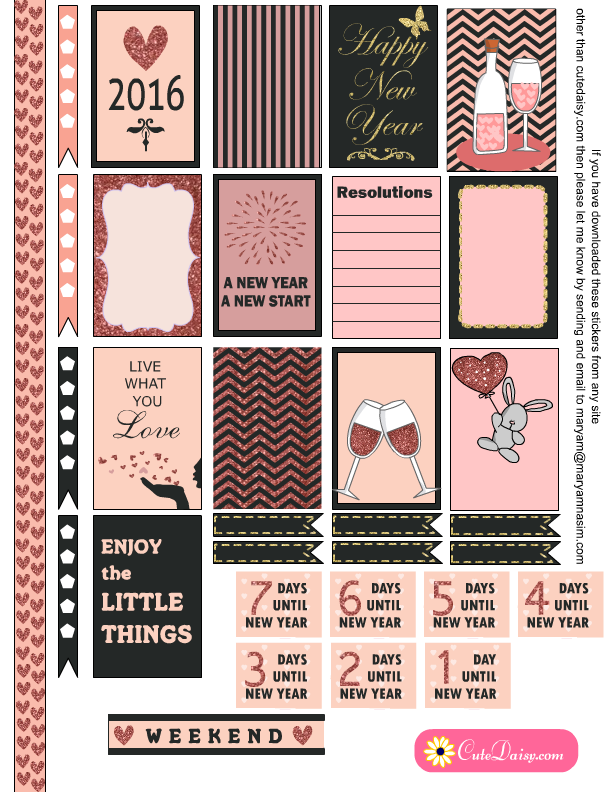 Click here to download the file for these new year stickers for the year 2016 that you can use in your Erin Condren Life Planners. Print it on standard letter size sheet and do not scale the image for best result. I’ll be looking forward to get feedback from you. Please do not forget to pin this post on Pinterest and share on facebook and other social media as well. Have a happy, safe, blessed and prosperous new year. Prayers for everyone. 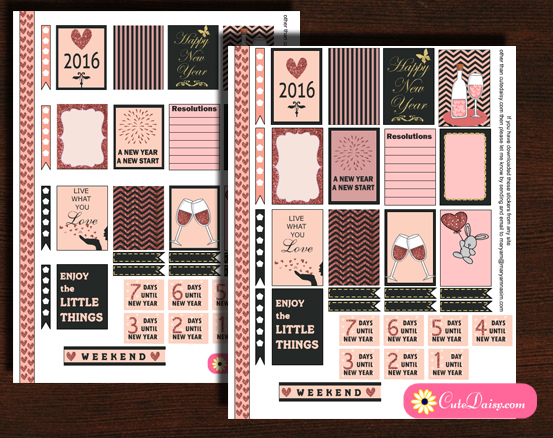 Thank you for sharing your planner printables. I recently got a silhouette, am I able to cut these with my cutting machine? If not, how do I cut them and then remove the sticker sheet backing paper? I’ve never been able to peel it away without ruining the stickers. Any suggestions would be greatly appreciated. Nina I have never tried it on silhouette so I am completely unaware. Please join my Facebook group https://www.facebook.com/groups/515838331927882/ and I am sure that ladies in that group would be able to answer all the questions regarding these stickers. Happy New Year!! These are beautiful! You always come up with such wonderful stickers and you did it again. I am going to try to put a shiny paste over the sparkle part of the sticker so it will show the sparkle! I love these! Thank you again for all your sharing!! These look great! I can’t wait to use them in my New Year’s Spread! Thank you very much! These are super. Thank you for sharing these! Very pretty! 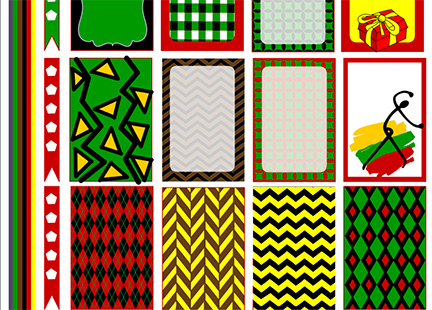 For those of us who would like to print then cut with our cutting machines could you make these available in PNG file format also? Thanks for considering! Nina, I use my silhouette machine to cut PDF printables and I have the basic software. If you have a facebook account join Silhouette Cameo & Portrait for Newbies & Questions, they are awecome or email me at audrialewis@gamil.com. Good luck. Thank you so much for sharing your beautiful printables. I also found a tribal one you did that I have some awesome washi to go with! Thanks so much. By the way for those asking I use my silhouette to cut these and I have no problems. Oh ok thank you so much for sharing this info. 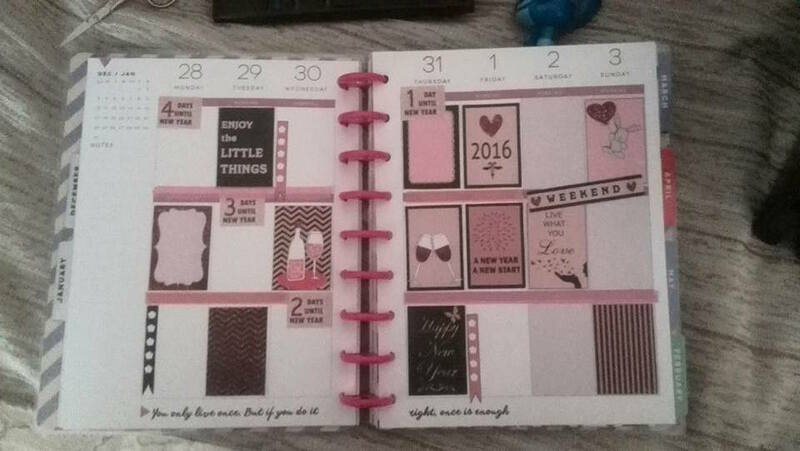 i just got my new planner, thank you so much for sharing this…. 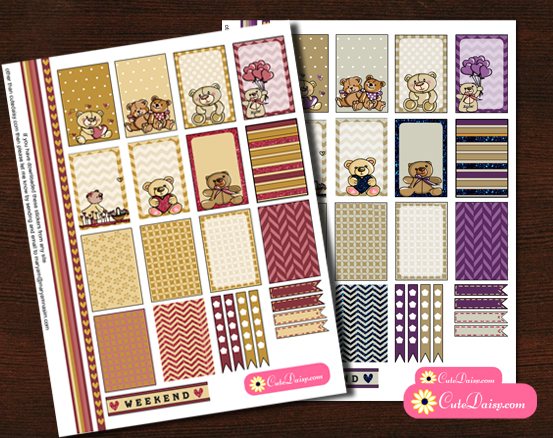 I loved the designs I used almost all of them in this weeks layout. I only have one from another printable. 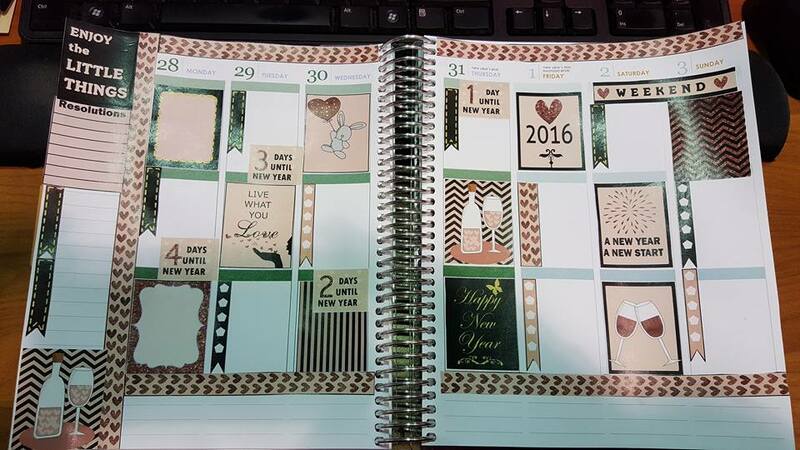 Hi I am new to the planner community. To print these what kind of sticker paper do I use?